Booklovers Never Go To Bed Alone, Again discussed The Elegance of the Hedgehog by Muriel Barbery at our September meeting. One French critic called The Elegance of the Hedgehog “the ultimate celebration of every person’s invisible part.” How common is the feeling that a part of oneself is invisible to or ignored by others? How much does this “message” contribute to the book’s popularity? Why is it sometimes difficult to show people what we really are and to have them appreciate us for it? 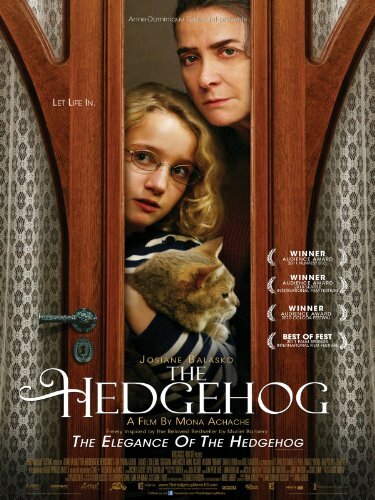 The Elegance of the Hedgehog has been described as “a toolbox one can look into to resolve life’s problems,” a “life-transforming read,” and a “life-affirming book.” Do you feel this is an accurate characterization of the novel? If so, what makes it thus: the story told, the characters and their ruminations, something else? Can things like style, handsome prose, well-turned phrases, etc. 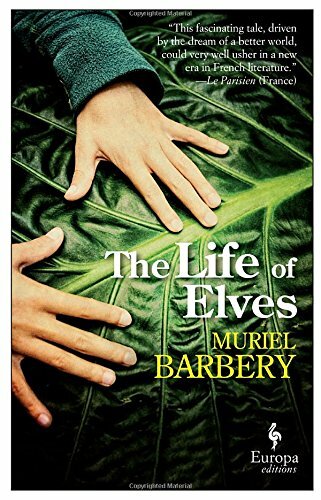 add up to a life-affirming book independently of the story told? To put it another way—Renée Michel’s way—can an encounter with pure beauty change our lives? By any other name would smell as sweet. Both Renée and Paloma use stereotypes to their benefit, hiding behind the perceptions others have of their roles. Our understanding and appreciation of people is often limited to a superficial acknowledgement of their assigned roles, their social monikers—single mother, used car salesman, jock, investment banker, senior citizen, cashier… While we are accustomed to thinking of people as victims of stereotypes, is it possible that sometimes stereotypes can be useful? When, under what circumstances, and why, might we welcome an interpretation based on stereotypes of our actions or of who we are? Have you ever created a mise en place that conforms to some stereotype in order to hide a part of yourself? 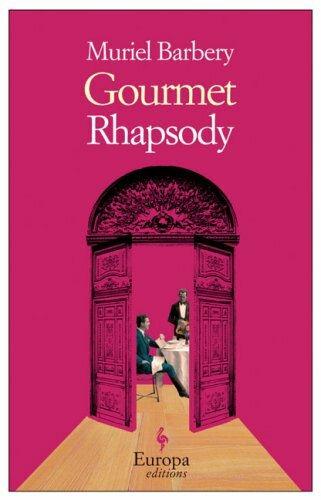 Some critics call this novel a book about class. Barbery herself called Renée Michel, among other things, a vehicle for social criticism. Yet for many other readers and reviewers this aspect is marginal. In your reading, how integral is social critique to the novel? What kind of critique is made? Many pundits were doubtful about the book’s prospects in the US for this very reason: a critique of French class-based society, however charming it may be, cannot succeed in a classless society. Is the US really a classless society? Are class prejudices and class boundaries less pronounced in the US than in other countries? Are the social critique elements in the book relevant to American society? Paloma, the book’s young protagonist, tells us that she plans to commit suicide on the day of her thirteenth birthday. She cannot tolerate the idea of becoming an adult, when, she feels, one inevitably renounces ideals and subjugates passions and principles to pragmatism. Must we make compromises, renounce our ideals, and betray our youthful principles when we become adults? If so, why? Do these compromises and apostasies necessarily make us hypocrites? At the end of the book, has Paloma re-evaluated her opinion of the adult world or confirmed it? Famously, the Japanese language counts twelve distinct seasons during the year, and in traditional Japanese poetry there are five hundred words to characterize different stages and attributes assigned to the seasons. As evidenced in its literature, art, and film, Japanese culture gives great attention to detail, subtle changes, and nuances. How essential is Kakuro’s being Japanese to his role as the character that reveals others’ hidden affinities? Or is it simply his fact of being an outsider that matters? Could he hail from Tasmania and have the same impact on the story? Adolescent children and the poor are perhaps those social groups most prone to feel themselves trapped in situations that they cannot get out of, that they did not choose, and that condition their entire outlook. 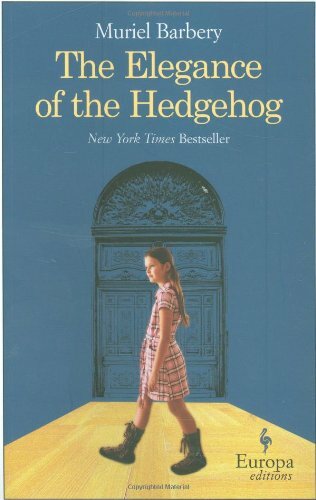 Some readers have baulked at the inverse snobbery with which the main characters in The Elegance of the Hedgehog initially seem to view the world around them and the people who inhabit it. Is this disdain genuine or a well-honed defence mechanism provoked by their circumstances? If the later, can it therefore be justified? Do Renée’s and Paloma’s views of the world and the people who surround them change throughout the book? Would Paloma and Renée be more prone to fraternal feelings if their circumstances were different? In one of the book’s early chapters, Renée describes what it is like to be an autodidact. “There are days when I feel I have been able to grasp all there is to know in one single gaze, as if invisible branches suddenly spring out of nowhere, weaving together all the disparate strands of my reading—and then suddenly the meaning escapes, the essence evaporates, and no matter how often I reread the same lines, they seem to flee ever further with each subsequent reading, and I see myself as some mad old fool who thinks her stomach is full because she’s been attentively reading the menu. Apparently this combination of ability and blindness is a symptom exclusive to the autodidact.” How accurately does this describe sensations common to autodidacts? What are the advantages and disadvantages of being self-taught? Much has been made of the book’s philosophical bent. Some feel that the author’s taste for philosophy and her having woven philosophical musings into her characters’ ruminations, particularly those of Renée, hampers the plot; others seem to feel that it is one of the book’s most appealing attributes. 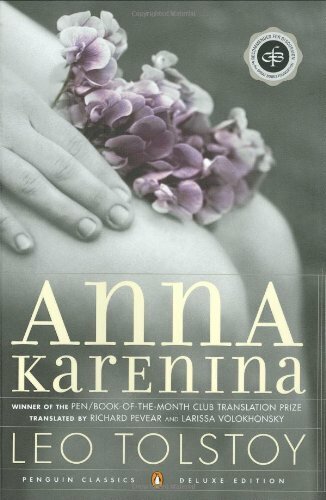 What effect did the philosophical elements in this book have on you and your reading? Can you think of other novels that make such overt philosophical references? Which, and how does Hedgehog resemble or differ from them? Renée is fifty-four years old. Paloma, the book’s other main character, is twelve. Yet much of the book deals with these two ostensibly different people discovering their elective affinities. How much is this book about the possibilities of communication across generations? And what significance might the fact that Renée is slightly too old to be Paloma’s mother, and slightly too young to be her grandmother have on this question of intergenerational communication? The Elegance of the Hedgehog has been published in thirty-five languages, in over twenty-five countries. It has been a bestseller in France, Spain, Germany, Italy, South Korea, and America. In many other countries, while it may not have made the bestseller lists, it nonetheless has enjoyed considerable success. In the majority of these cases, success has come despite modest marketing, despite the author’s reticence to appear too often in public, and her refusal to appear in television, and despite relatively limited critical response. The novel has reached millions of readers largely thanks to word-of-mouth. What, in your opinion, makes this book so appealing to people? And why, even when compared to other beloved and successful books, is this one a book that people so frequently talk about, recommend to their friends, and give as gifts? And what, if anything, does the book’s international success say about the universality of fictional stories today? In a related question, The Elegance of the Hedgehog has been described as a “book for readers” as opposed to a book for critics, reviewers, and professors. What do you think is meant by this? And, if the idea is that it is a book that pleases readers but not critics, do you think this could be true? If so, why?